One last hurrah for winter! Put the water and sugar into a medium saucepan and bring to boil. Once the sugar has dissolved add the spices and simmer the mixture for about 10 - 15 minutes. Remove from the heat and strain through a fine mesh strainer. Leave to cool, then chill in the refrigerator. 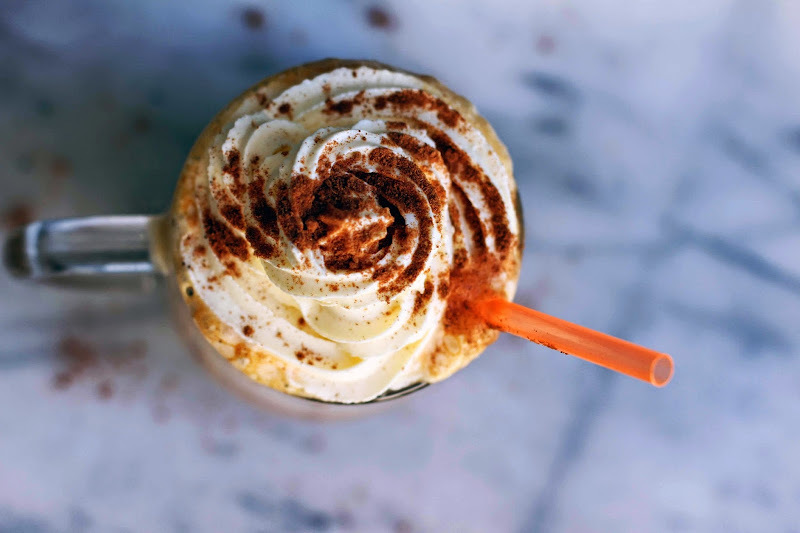 Put the milk, espresso, ice, pumpkin puree and the Pumpkin Spice Syrup into a blender and blitz until smooth. 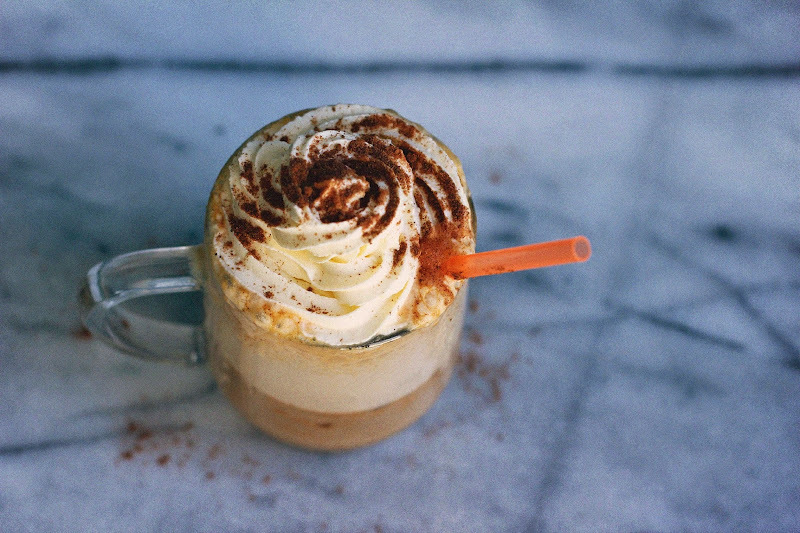 pour into two glasses and top with piped whipped cream and sprinkle with pumpkin pie spice. I hope you are having an awesome time in Japan at the moment Jen. 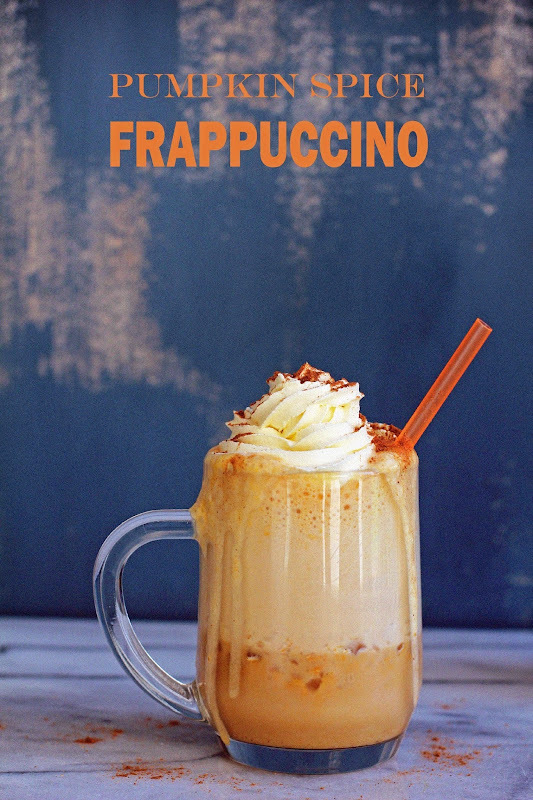 This frappuccino would be perfect for the windy spring day we are having here in Brisbane, and I bet it would be awesome after a long hot run too. Can't wait to give it a go! 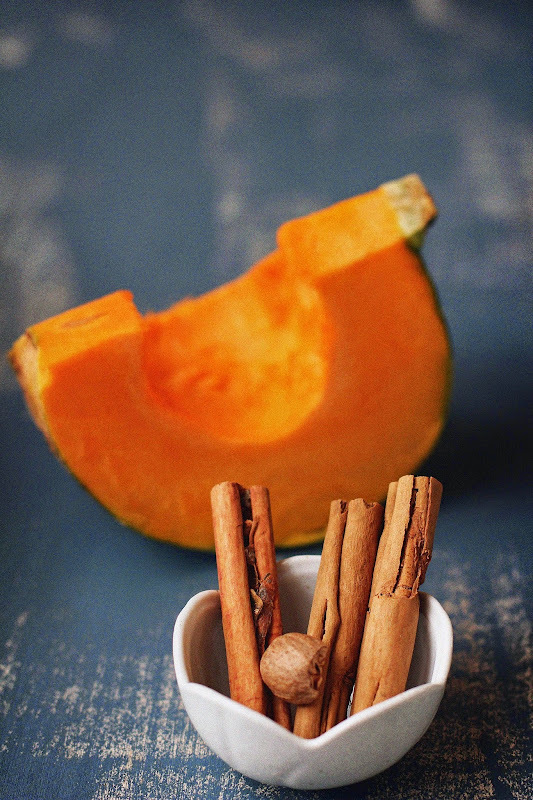 Seriously loving all of the pumpkin goodness on the interweb (is that a word? I heard someone use it recently and it sounded cool. Am I cool?) at the moment. This one looks DIVINE. That frothy, glorious topping and real pumpkin? Gimme. Now. That sounded demanding... uh, sorry. Pumpkin does that to me. This looks delicious! Thanks so much for sharing the recipe. 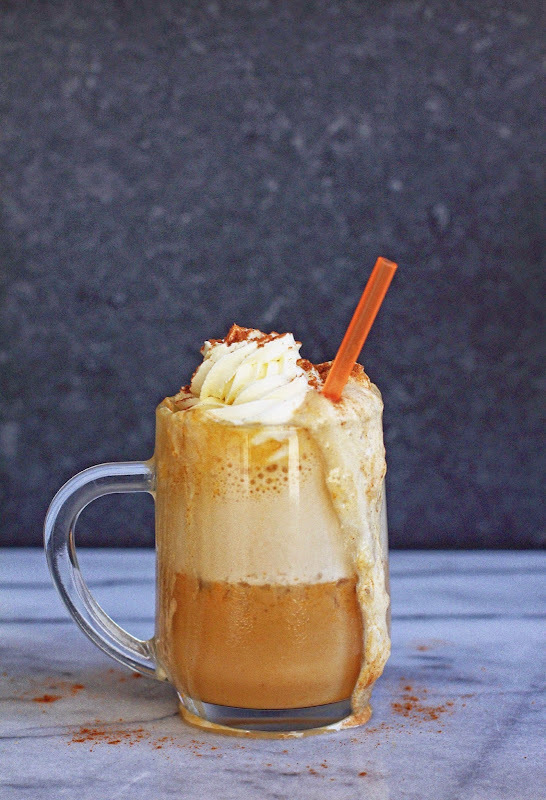 This looks so delicious - kind of my dream winter drink!